The Red Army’s defense of the Brest Fortress against the Nazis in June-July 1941 is one of the most resonant episodes of the Great Patriotic War. The legend about the feat of the defenders of the fortress—the Citadel on the Bug, as it is often called—emerged during the Khrushchev Thaw. The myth about the fearless warriors, who fought Hitler’s army deep in the enemy’s rear for almost a month was formed in the mid 1960s, after the publication of a book by the Moscow journalist Sergei Smirnov (the father & grandfather respectively of filmmaker Andrei Smirnov & Dunia Smirnova). In the 1970s, at the suggestion of the First Secretary of the Belarus Communist Party, Peter Masherov, the Brest Fortress became the ideological & tourist brand for Belarus, as well as an occasion for the propaganda of Soviet internationalism: the garrison at the Fortress had included a dozen nationalities of the USSR. For the authorities of modern Belarus, the history of the Brest Fortress & its defenders is, above all, an example of the “fraternal attitudes” to allied Russia. It is no wonder that this well-known plot was chosen for the first film project of the Television & Radio Organization (TRO) of the Union state. The film project was preceded by a documentary film of the same title, made by TRO a year before the beginning of the feature film. According to scriptwriter Konstantin Vorob’ev, it was the success of the television screenings of the documentary that pushed the management of TRO into the direction of a live-action film for the silver screen. The film-project The Brest Fortress was financed from the budget of the Allied State of Russia & Belarus at a ratio of 60 & 40 percent respectively, with an overall budget of approximately $7 million. The ideological inspiration for the film came from the former television comedian & now head of TRO, Igor’ Ugol’nikov, who emphasized from the very beginning the public importance of the project. The Brest Fortress should tell the young generation of Russians & Belorusians “the truth about the war”, which has been deformed in recent narratives. In particular, young men should know that the main contribution to the victory over Nazism came from the USSR. While the Phony War dragged on in the West, world attention turned to an escalating conflict in the East. Following the Soviet occupation of eastern Poland in late September 1939, Stalin’s government began pressuring Finland to make territorial concessions on the Karelian Isthmus. At the time, the Soviet-Finnish border crossed this strip of land between the Gulf of Finland & Lake Ladoga just twenty miles north of Leningrad – well within the range of Finnish artillery – & Stalin was concerned that, should Finland fall under German control, Leningrad’s safety would be compromised. The Soviet dictator further requested that Finland grant him a thirty-year lease on the port at Hangö, about a hundred miles west of Helsinki, so that the Soviets could establish a naval base there. In exchange, he offered twice as much Soviet territory north of Lake Ladoga. The Finns agreed to everything except the Hangö lease, which they claimed would violate their neutrality & compromise their independence. The Soviets next began a propaganda offensive, & when that also failed to win them Hangö, they invaded. Stalin initially threw thirty infantry divisions & six tank brigades against the nine Finnish divisions defending Karelia. Later, he sent even more troops north of Lake Ladoga to attack Finland from the east. This latter move showed especially poor judgment. In general, the Soviets had made the same mistake that Franz Halder was contemplating killing Hitler to prevent: They had invaded Finland in winter, when conditions were simply not suitable for offensive operations. Their mechanized units quickly bogged down in thickly forested, snow-clogged terrain, & thousands of frozen Soviet corpses soon lined the few rough tracks along which tanks could pass. Finally, in January 1940, the Red Army pulled back from its lines north of Lake Ladoga & concentrated its vastly superior firepower on the Karelian front. 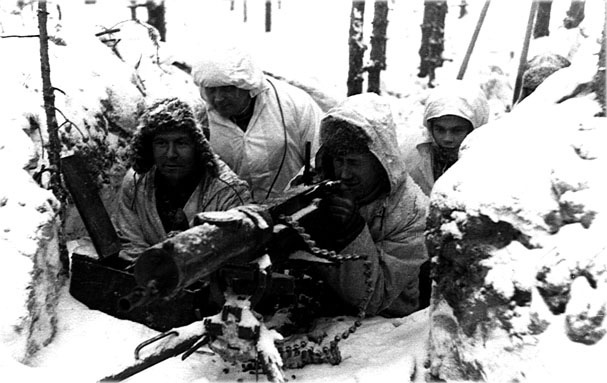 Outnumbering the Finns there fifty to one, the Soviet troops eventually broke the Finnish lines & threatened Helsinki. On March 12th, the Finnish government asked for an armistice. The fighting ended two days later. Thus the Red Army won the Winter War but hardly in a satisfactory manner. In Berlin, Hitler took careful notice of the numerous blunders the Soviets made & the great difficulty they had subjugating what was, by anyone’s measure, a considerably inferior Finnish military. 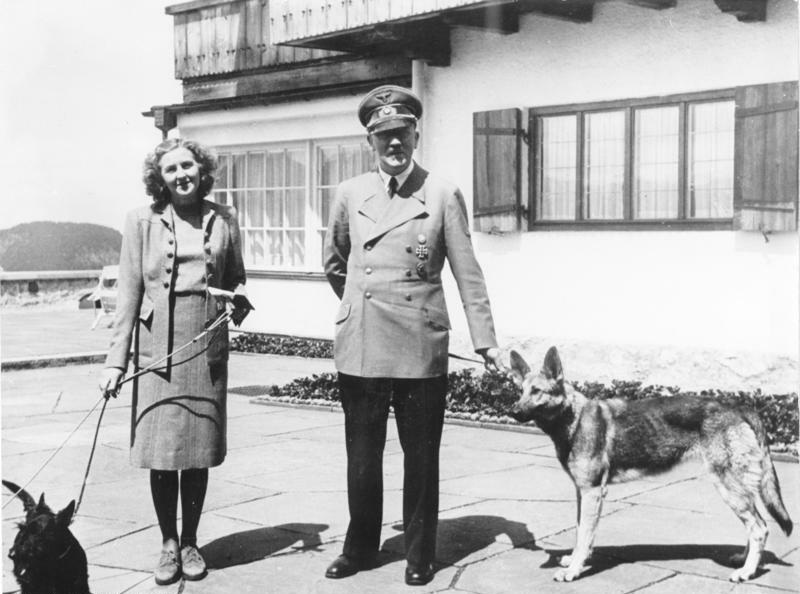 How could the Red Army, the Führer must have wondered, possibly stand up to the Wehrmacht?